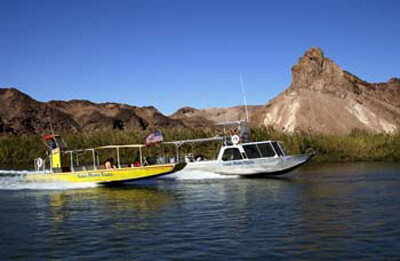 Yuma River Tours (YRT) offers jet boat and sternwheeler tours on the lower Colorado River. 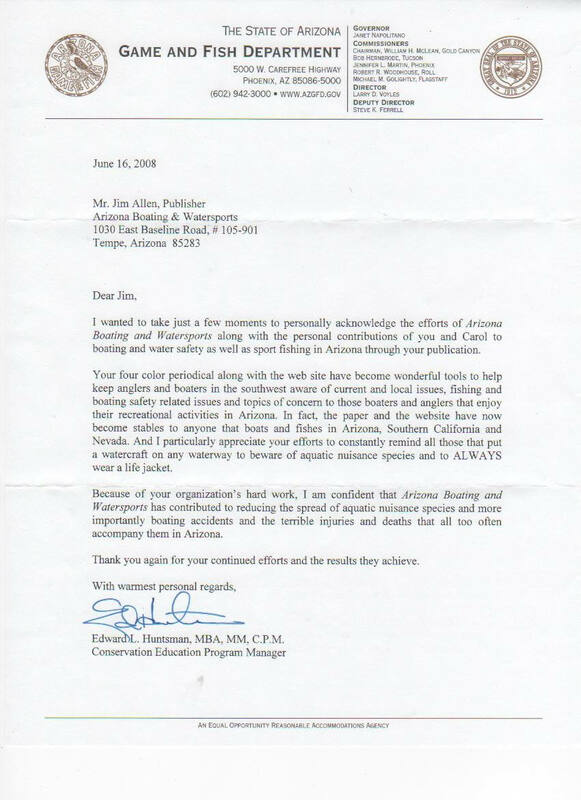 Their office is located at 1920 Arizona Avenue in Yuma, Ariz., but their round-trip tours are based at Fisher's Landing at the south of Martinez Lake. Although open year round, Yuma River Tours' busy season is winter, when the weather is enjoyable for sightseeing. 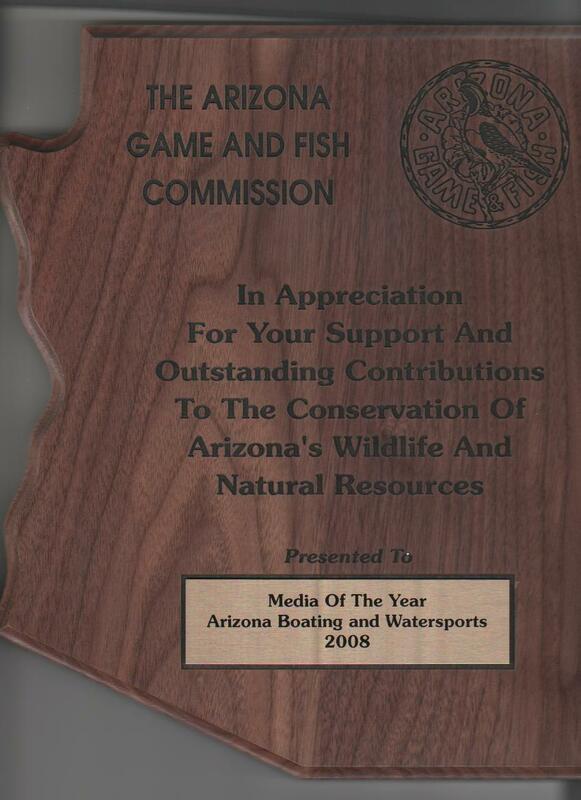 In 1987, Ron Knowlton, his parents Smokey and Sheila Knowlton, and brother Randy Knowlton - all Coast Guard-licensed captains formed Yuma River Tours. Smokey and Sheila are both retired now but still occasionally participate in tours or events. Today Ron serves as president and shares captain duties with Loyd Robertson and occasionally brother Randy Knowlton. Ron's wife Julie and daughters Danelle (who also has her U.S. Coast Guard Captain license), age 20, and Jodi, age 17, are also active in the business. The Knowltons' experience on the lower Colorado River can be traced back to the 1940s, when Cecil and Ruth Knowlton, Ron's grandparents, began boating and exploring the lower Colorado River, eventually becoming permanent residents of Martinez Lake in 1957. For Yuma River Tours' employees, this business is special because of the history, the scenery, and the variety of people. There are local residents - some who know the river well, and others who are amazed to discover it. With the many winter visitors, YRT enjoys multi-generational family excursions and groups of friends. Tour-bus groups from across the United States and Canada, RVers, car and motorcycle clubs join the tours to see the wonderful sights of this area. Businesses, clubs, organizations, and churches use the tours for meetings, employee outings, parties, and employee recruiting. Schools and youth groups do Colorado River field trips with YRT. They also shuttle canoeists and kayakers upriver in groups, or individually along with their jet-boat tours. The business started with one 18-foot passenger jet boat. YRT now also runs two 40-foot passenger jet boats and a 49-passenger sternwheeler paddleboat. Their jet-boat tours are "active" in that they stop and let passengers disembark to see points of interest in the beautiful Imperial Wildlife Refuge - migratory and native birds, a mining cabin built in the 1800s, Picacho State Park in California, and Indian petroglyphs. Lunch is at Norton's Landing, a historic steamboat site that was once a thriving mining town. The Colorado King is a double-decker sternwheeler tour boat with an open-air upper deck and an enclosed main deck. There is a small snack bar on board where passengers can purchase non-alcoholic beverages and snack items. Offered are three-hour, non-stop tours on the Colorado King, either daytime trips downriver with an optional boxed lunch, or evening sunset dinner cruises with a hot buffet dinner served on board. Prices for YRT standard trips range from $38 to $89 per person, and they are glad to provide quotations for custom tours and charters. Additional information is available on the Web site: yumarivertours.com. Reservation requests are accepted from the Web site link or at our e-mail address: rivertours@aol.com. Because the YRT calendar changes quickly, the current schedule is only available by phone at (928) 783-4400.